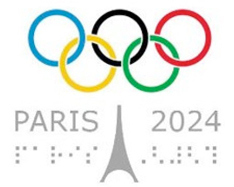 Tony Estanguet, co-president of the Paris bid committee for the 2024’’ Olympic Games, has told the Associated Press he intends to meet with the International Olympic Committee to discuss including eSports competitions as official medal sports in the Paris game in 2024. The move is part of a growing trend by the Olympic Committee to recognize eSports. The IOC recognizes the eSports Asian Games. Forty-five national delegations and about 10,000 players took part in the most recent Asian games three years ago in Incheon, South Korea. The Olympic Council of Asia has also announced that eSports will be a medal sport at the 2022 Asian Games in China. However, IOC president Thomas Bach has not fully backed eSports at the games. “We are not yet 100 percent clear whether eSports is really sport, with regard to physical activity, and what it needs to be considered sport,” Bach told Inside the Games in a recent interview.